Miriam serves as Executive Director, Developing Families Center, based in Washington, D.C. The Developing Families Center (DFC) promotes the empowerment of low-income families through the collaboration of two nonprofit service providers: Community of Hope Family Health and Birth Center and Edward C. Mazique Parent Child Center. Miriam is a George Mason University faculty member in the Health Administration Program, teaching health strategic management and policy and leading the graduate capstone program requirements. Miriam served as the chief executive officer of The American Association of Blood Banks (AABB), an international medical society and accrediting body dedicated to transfusion medicine and cellular and regenerative therapy. 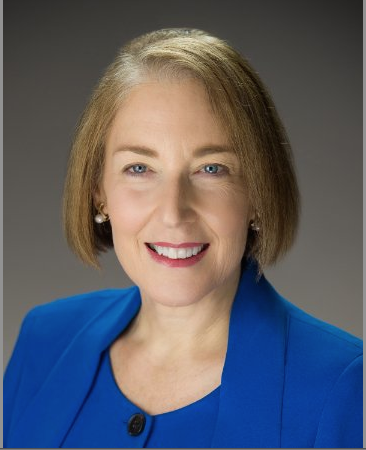 Prior to AABB, Ms. Markowitz was vice president and chief operating officer at Georgetown University Medical Center — or GUMC — an academic medical center with a three-part mission of research, teaching and service. In this role, she served as strategy advisor and supported relationship development with outside organizations regarding program development, public-private partnerships, and regulatory and policy-making issues. In addition, she oversaw medical center operations including facilities management, strategic planning implementation, and coordination with Georgetown University-wide departments and functions. Prior to joining GUMC in 2011, Miriam served as corporate vice president of strategy and business development at Children’s National Medical Center, or CNMC. She spent seven years in diverse executive roles at CNMC, and oversaw specialty ambulatory services, international services, facilities planning, Certificate of Need management, and strategic planning and business development functions.